Great location, as the place was far away from noise, but an easy walk from all the action. 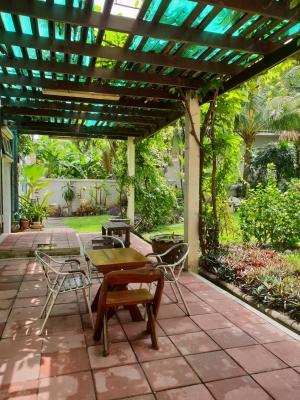 This is a great place to stay in Bangkok. Everything about our stay was wonderful. The staff are so welcoming and like family. It's hard to explain, but the staff make the experience of staying at this hotel feel more like a community and a family. 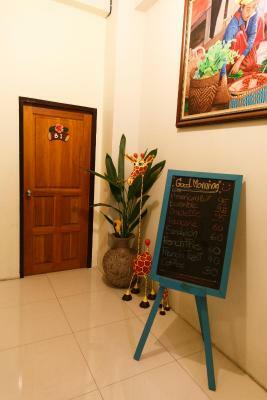 The coffee and breakfast was very good, low cost, and friendly service. 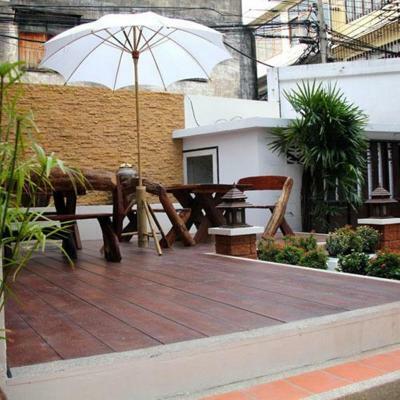 The garden was lovely, the rooftop patio was fun with a great view of the Rama VIII bridge and the sunset. The room was clean with a firm bed, which we prefer. Great air conditioning. The staff was incredibly kind and welcoming! Traveling with a toddler is difficult but our time here was a breeze and they doted on our kiddo- even shared their mango with him! We arrived at 3am and they checked us in without a problem and helped us feel at home despite the jet lag and overall confusion of being in a new place. The neighborhood feels incredibly safe and genuine. Two coffee shops and several street vendors right outside the accommodation and many more a few minutes walk. Onsite laundry was an amazing perk! AC was ice cold and king bed was firm and comfortable. Very clean and had everything we needed. Would stay here again without hesitation. Thank you!! 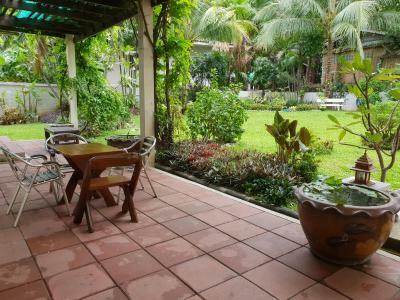 Good location near Khao San, but in a quiet area. Lots of restaurants in walking distance. Clean and quiet. Most friendly and helpful receptionist ever, so lovely and great first impression of hotel. 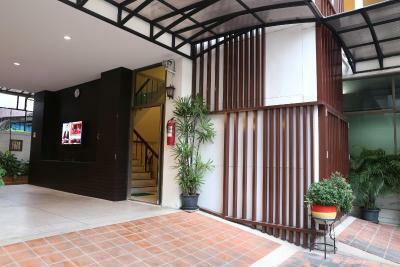 This is a small new hotel, very well located near kao san road. Although it’s located in an alley, the neighborhood is very safe. The hotel is super clean and the room was comfortable. You can see the great views from your room, like Rama 8 bridge. 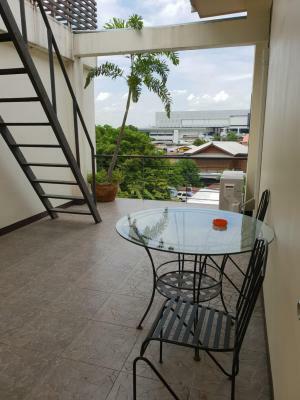 Location is good, close to Kaosan road. Room was clean and staff was nice, they also provided maps and help with taxi. I had a room with fan and it was fine, it wasn’t hot during the night. 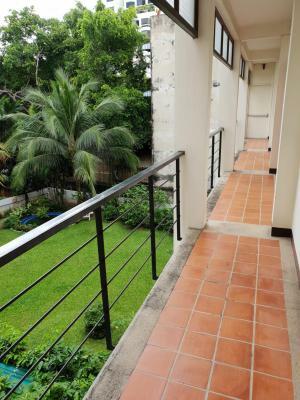 It’s close to the supermarket, staff are nice and the compound is great specially the back garden. I’m a solo traveler and I feel very safe. Very friendly staff, they were really helpful with everything, printed our tickets, called us a taxi, smiley, we felt super nice with them. 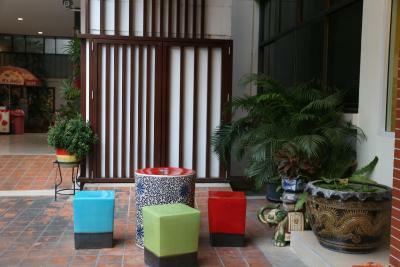 The little garden at the back of the hotel, an oasis in busy Bangkok. 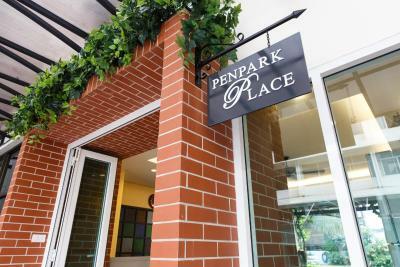 Penpark Place This rating is a reflection of how the property compares to the industry standard when it comes to price, facilities and services available. It's based on a self-evaluation by the property. Use this rating to help choose your stay! 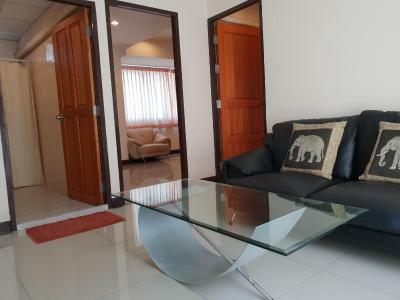 Penpark Place is in Bangkok City, a 10 minute walk from the lively Khaosan Road. 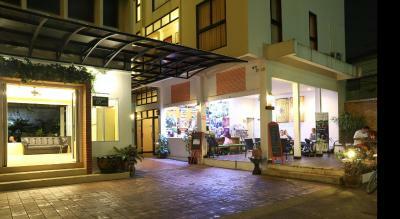 It features a rooftop terrace, restaurant and air-conditioned rooms with free Wi-Fi. The Penpark is 1.5 miles from the Temple of the Golden Mount and 2.5 miles from MBK Shopping Mall. Siam Paragon Mall is 3 miles from the hotel. 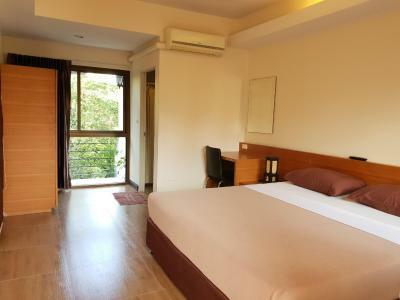 Offering views of the grounds or city, rooms at Penpark have modern décor. 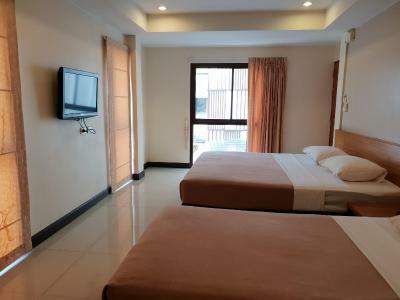 All rooms have plenty of natural light and are equipped with a private bathroom with shower facilities. 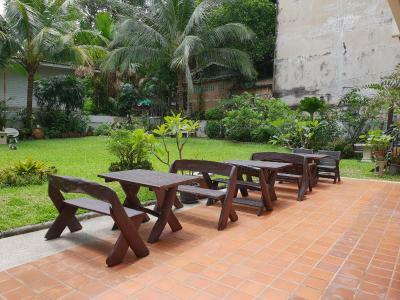 Situated next to the garden, the restaurant serves a variety of local and international dishes. Light snacks and refreshing drinks are available at the lobby bar. 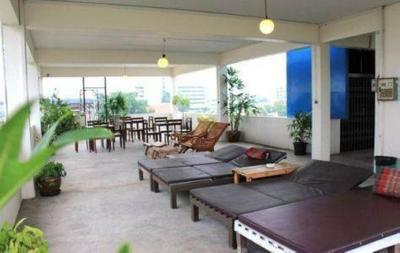 Guests can enjoy views of the Chao Phraya River and Rama VIII Bridge on the rooftop terrace. The hotel provides free parking. Travel and sightseeing bookings can be made at the tour desk. 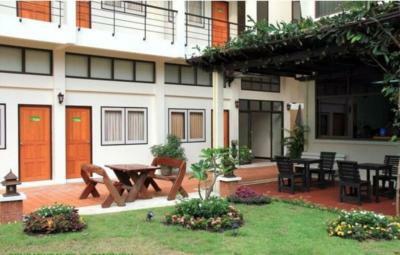 When would you like to stay at Penpark Place? 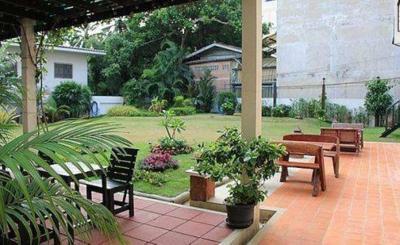 An air-conditioned room with a private bathroom. 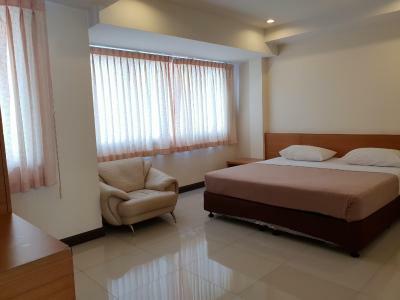 Air-conditioned room features a flat-screen TV and an private bathroom. 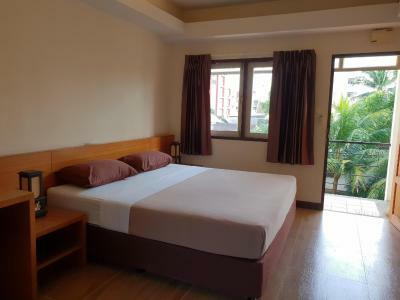 Air-conditioned room for 3 guests features a flat-screen TV and a private bathroom. 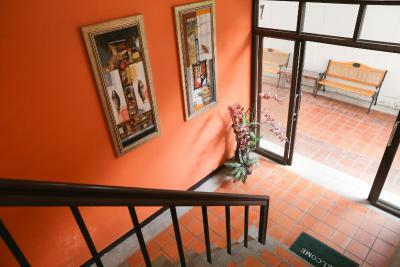 Air-conditioned suite has a living area and a private bathroom. 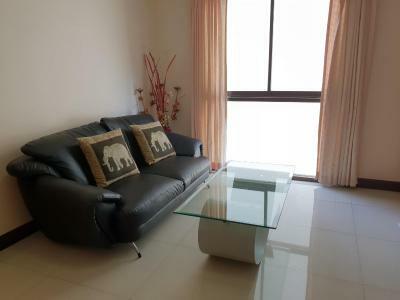 This family room features a sofa, air conditioning and tile/marble floor. 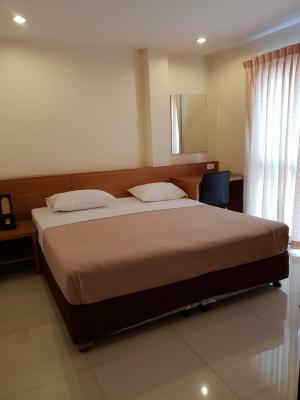 This triple room features a tile/marble floor and air conditioning. House Rules Penpark Place takes special requests – add in the next step! 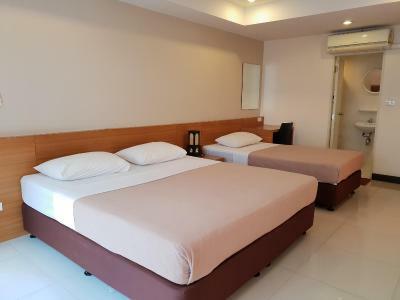 One older child or adult is charged THB 400 per person per night in an extra bed. Penpark Place accepts these cards and reserves the right to temporarily hold an amount prior to arrival. Too hot, fans are not enough to kill the heat. It was almost at the edge of Songkran festival location and 20 in walk from centre. Booking.com description was misleading with regard to shared bathroom details. We believed we had booked a room with private bath due to this, and when informed this was not the case, we had to pay extra by cash as paying by Visa would have incurred 2% extra. Booking.com please make your description clearer! For this reason we will hesitate to use the company. Also we are constantly told that we have discounts, but these never seem to appear! Regarding the hotel and room, over the three nights of our stay, the room was not cleaned or attended to. There was only one medium sized towel per person over the three-day stay, half a toilet roll provided which was not replenished as no cleaning done. No fridge in the room and complimentary toiletries were minimal. Dead rat on stairs for hours, staff was not friendly, not allow guest in room. Dated.location a little bit out. Fan was not able to point where bed was placed. Good place to stay. Friendly staff, clean and convenient. 25$ for one night is definitely too expensive in my opinion. 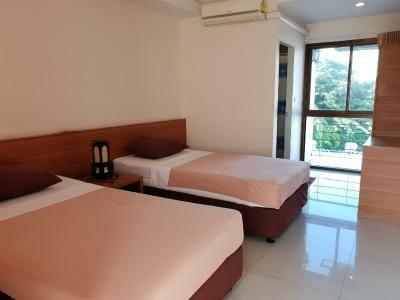 Very good location, clean, friendly staff, comfortable bed, hotel water.